Is Your Body Digital or Analog? We live in a digital age. Do you think of your body as digital or analog? Answer this simple question. 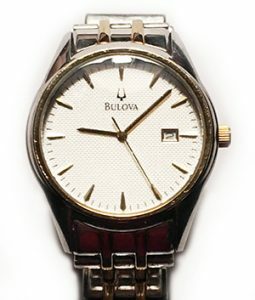 Do you wear a modern digital watch or a traditional analog watch? Why do I ask these questions? Because it shows how you can look at the time and space in different ways. An analog watch does not need to be exact or precise. A quick glance and you know exactly where you are in a diurnal 24 hour cycle. You immediately see a relational picture. 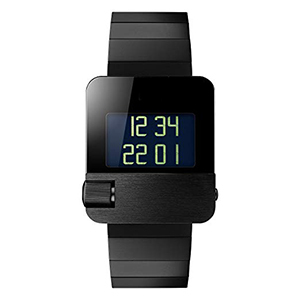 A digital watch simply gives you a notion. It does not show you a picture of the day. Your brain takes a few extra steps converting that to a perceived notion. Similarly, the problem I see constantly, day by day, is labwork with arbitrary lower and upper boundary values. All my patients asked me, “well, is that value normal?” To which I frequently say, “there really is no such thing as normal.” There is only optimal and acceptable. And normal changes decade by decade. Normal for an 80-year-old would not be normal for 35-year-old. Another easy to understand analogy is your car. When do you decide to pull into your favorite gas station? When is your panic time to fill up your tank? Do you wait until it’s ¼ full? Until it’s 1/8 full? Or wait until the dire warning light tells you only have 20 more miles left before you run out of gas? Just how proactive are you with your car? You can look at your body in the same way as your automobile. If laboratory values are “low normal” they are low. As you will see in the graphic illustrations below. But first, let me expand upon the title of this blog. Are you digital or analog? Because of time constraints and poor learning habits, all lab work is conventionally seen as digital or binary. You are either in the box or out of the box. It’s a very simple calculation. It removes all guesswork, estimates, finesse and discretionary thinking from medical lab analysis. There are capricious cutoff values that are usually set at 1 to 2 standard deviations (σ) above or below the mean value. The mistake made by virtually every conventional physician is diagnosing health or disease using in range values. But lab values represent our personal human physiology. We are all individuals. And all these optimal values are better represented by skewed binomial distribution curves. Seen as part of a continuum — all the way from low to optimal to high. 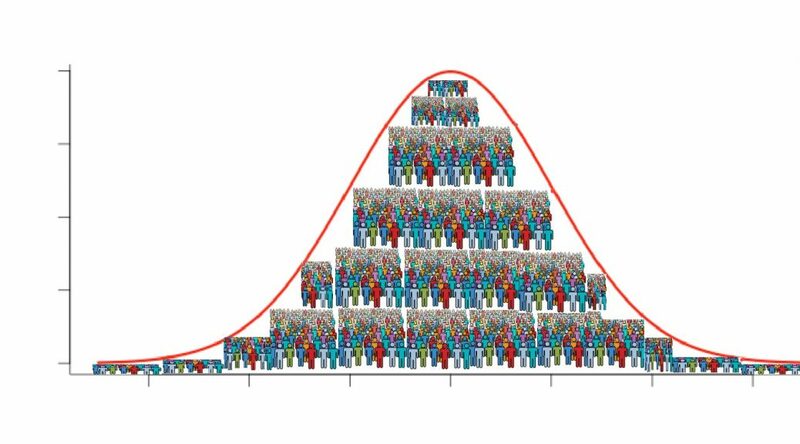 It is far more physiologic and rational to look at all your lab values as a continuum that fall on a distribution curve. And most often the curve is skewed to the left or right. This is the basis of Functional and Anti-Aging medicine. So let’s look at these illustrations taken from my own real clinical data spanning 12 years. Data from 5000 samples of hematocrit as example. That is the percentage of red blood cells in the serum. It is essential for oxygen carrying capacity. A low hematocrit is a measure of anemia. And that is not a healthy state. Re-read my blogs on iron deficiency anemia. Now let’s say your value is just slightly above the lower cut off with the green stars. But then you rerun the lab today or tomorrow which will always be slightly different and suddenly the value might be just slightly below the lower level cut off with the red stars. In the first instance you are “in the normal range.” In the second instance you are now out of range. What is the difference between these 2 values? Essentially nothing. So the entire practice of looking at lab values in range is neither functional nor rational. You want to be looking at all lab values as an optimized value on a continuum. Optimal is the “happy face” zone. So this then is the difference between digital / binary medicine and optimized functional medicine. Let’s finish with one more example. Vitamin D is one of the few lab tests where values are denoted in more rational ranges. 100-150 ng/mL is considered excess. And >150 is considered toxic. Although, in reality, vitamin D is never toxic. Another wild misconception that dates back decades. You can see how much more rational these multiple discrete quintile ranges are. So when I speak with my patients, we are always looking for optimal values not lab data points that are necessarily in range or out of range. And furthermore, I take a Grandmaster view of laboratory. I look at balances, relationships and longitudinal trends. I see a picture of overall health or dysfunction. Not a list of disparate lab values. So that is your challenge. Do you see yourself as digital or analog? Maybe in the next 20-30 years after The Singularity, when we all have various bionic components, the answer to this question might change. My answer for today is — your body is analog. Food for today’s thought. Now that you have read through today’s blog, go back and read my thoughts on the Tyranny of the TSH. Write me with any questions, thoughts or comments.